I got into fashion by experimenting with making hats and fascinators. I wanted to learn millinery but the classes never had enough students so I decided to study fashion instead. I love fashion design because it allows you to create wearable art in 3D. You start with something flat and using your hands you watch it evolve into a 3D piece. Sovata’s target audience is women aged 25-45+ who want to wear garments and millinery that are feminine, bold, sophisticated and allow them to stand out from the crowd. They enjoy comfort, natural fibres, and sustainability but don’t want these important qualities to compromise their style. My aesthetic is bold, contrasting and uniquely feminine. Audiences can expect my ‘Ex Libris’ collection being shown at Fashfest to showcase traditional feminie silhouettes, teamed with contrasting colours, contrasting material choices, as well as bold uses of line and movement. I explore sustainability and ethics through my choice of pattern making, zero waste 3D pattern making. It is important to me that I create things with zero waste when they are born. Pre-consumer textile waste contributes thousands of tons of waste to landfill each year. I feel that as a designer it is my duty to stop this from happening. Exploring zero waste pattern making has also given me my own unique design signature—it’s an added bonus. A quiet confidence is the key. I love models who know what they are doing. Models who aren’t too showy. Models who are classy, elegant, and happy in themselves. For a model to articulate a particular feel the designer is responsible for describing a character to them; a character they must aspire to be on the catwalk. I tell my models they are to become peacocks, naturally beautiful, commanding of attention, elegant, quiet, confident, and graceful. Definitely, and I think that it is really evident with Fashfest. Fashfest has done the right thing by the industry and added a new show this year. 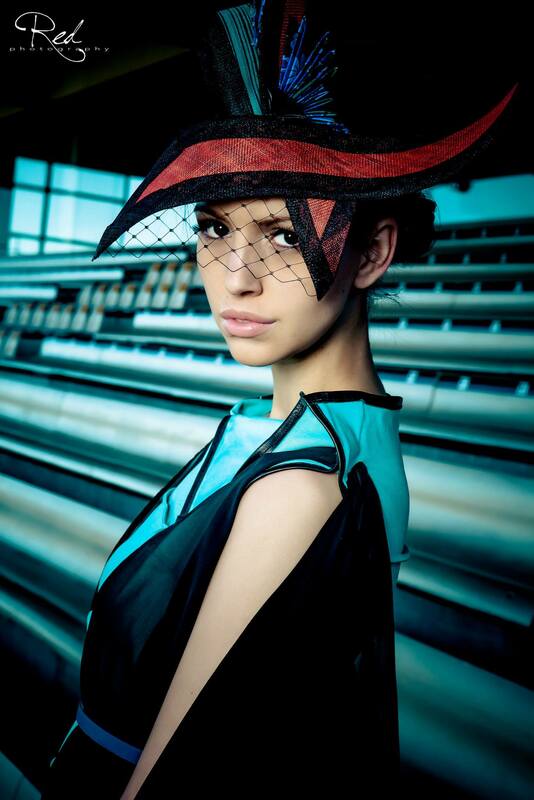 It will highlight upcoming fashion design graduates from the Canberra Institute of Technology. They didn’t have to do this but it’s exciting that they took a stance and did it. Indeed, Fashfest in general is so supportive and was created to provide a platform for the local Canberra fashion industry. There was nothing like it here in Canberra before. It certainly is helping me grow and emerge in the Australian fashion industry. Take a leap of faith and go for it. It is hard work and forever evolving and changing but it is immensely rewarding and exciting. I am showing on Friday 2 May. I look forward to seeing you there! Check out Sovata on Facebook here. This entry was posted in Arts, Fashion and tagged canberra, designer, fashfest, fashion, profile, q&a. Bookmark the permalink.